This package contains a high-quality game-ready model of a "Vector" Submachine Gun with modular accessories. All images taken in Unity. Uses PBR Standard Metallic Material with PBR Textures. Maya, Max and the Unity-Package is also included. Up to 4k super highres textures! 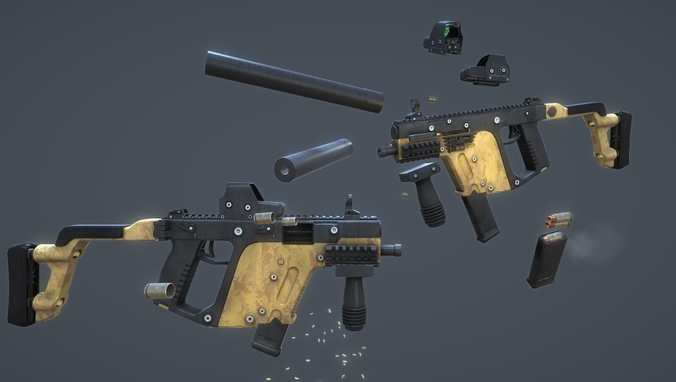 Simply activate or deactivate the parts you want to create your custom SMG. hi what is the poly count? Hi! Polycount is 21k triangles with all attachments (see last screenshot).